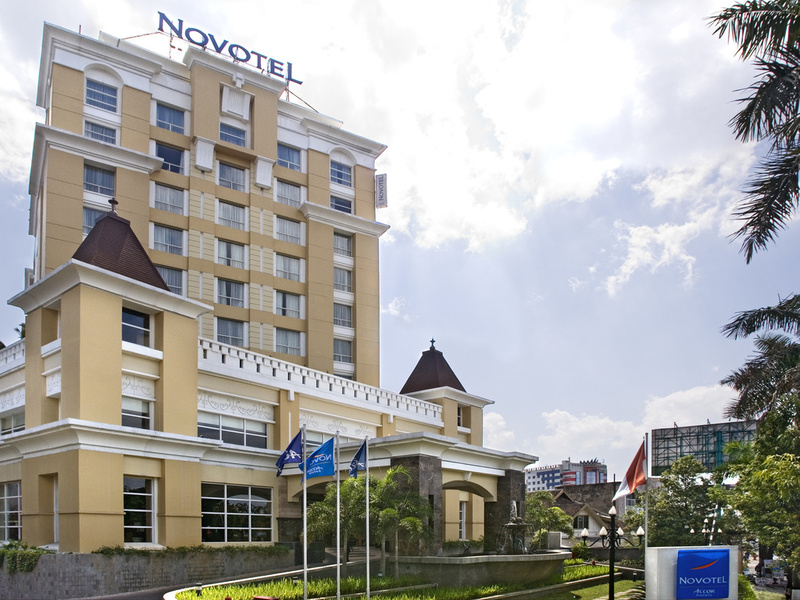 Novotel Semarang is the ideal base to explore Semarang: next to Paragon Mall, the newest and largest mall in town, within 15 minutes walking distance from Lawang Sewu Museum, Tugu Muda Monument, the Old Town (Kota Lama) and a short drive to Sam Po Kong Chinese Temple. The hotel is also easily accessible: only 15 minutes from Ahmad Yani Airport and 10 minutes from Tawang Train Station. You will need a 2-hour drive to reach Borobudur temple, which is part of UNESCO World Heritage. Overall experience good; except the dinners in the evening no value for money. Breakfast very nice and plenty choice. The room facility us quite old,the amenities are not impressive. My wife and I liked the chicken steak and the brewed coffee in the restaurant. I was sitting on the corner of the breakfast room to notice that the ceiling near me was damaged, and the rubbish on all over the floor down the table next to me. I called a staff and she cleaned it. The next day, I saw it already fixed. The room is perfect, and I was lucky to have the room facing the pool. The gym is great! Service was excellent. The room was quite spacious and clean. Though there were some problem with the sink and the bathtub. The wooden floor also made loud sound everytime someone walks on it. Overall we were still satisfied with our staying and will be back again. Thanks! Need more coordination between FO and HK, especially for frequent accor membership. The hotel provides typical services and amenities that you would expect from a Novotel albeit clearly downgraded standards and showing wear and tear everywhere as well as . Although the room furniture have been replaced recently and bathrooms have been painted the bathroom fittings need improvement, too (cracked washbasin, dripping tap, damaged bathtub, grey and musty towels). The mattress is too hard, the safe was not mounted, bathrobes and lotion are not provided any more. The slippers were downgraded to cheap and uncomfortable ones. The service in the restaurant on lobby level was sluggish and not attentive (I had to approach the staff at the bar that was talking among each other personally to be able to order a coffee. I have been staying at this hotel since 2014.
other facility was satisfied except for announcement of abnormality. Need more improvement for water supply during pipe-line cleaning. Please do not only mention by using a piece of paper only. Toilet piping seems a bit old. Shower water not very powerful and takes a while to hear up. The bathtub in my room was &quot;peeling&quot; a layer of paint. Novotel is good hotel with good location. But on this trip i having problem with WiFi connection that very slow and Food Variant on Breakfast is less than before.